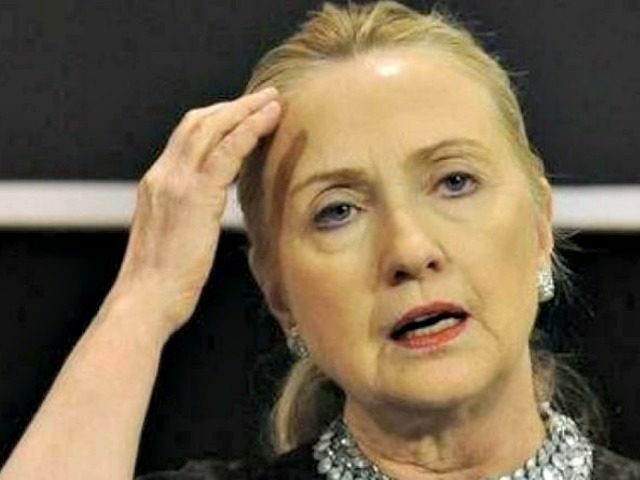 Hillary Clinton’s spokesperson Nick Merrill told this Breitbart News reporter to ‘Get a life” after Breitbart News asked Merrill about a recent Reuters news report on Clinton’s lack of memory regarding briefings during her time as secretary of state. During Clinton’s FBI interview about her use of a personal email server as secretary of state she blamed memory lapses on a concusson she experienced. 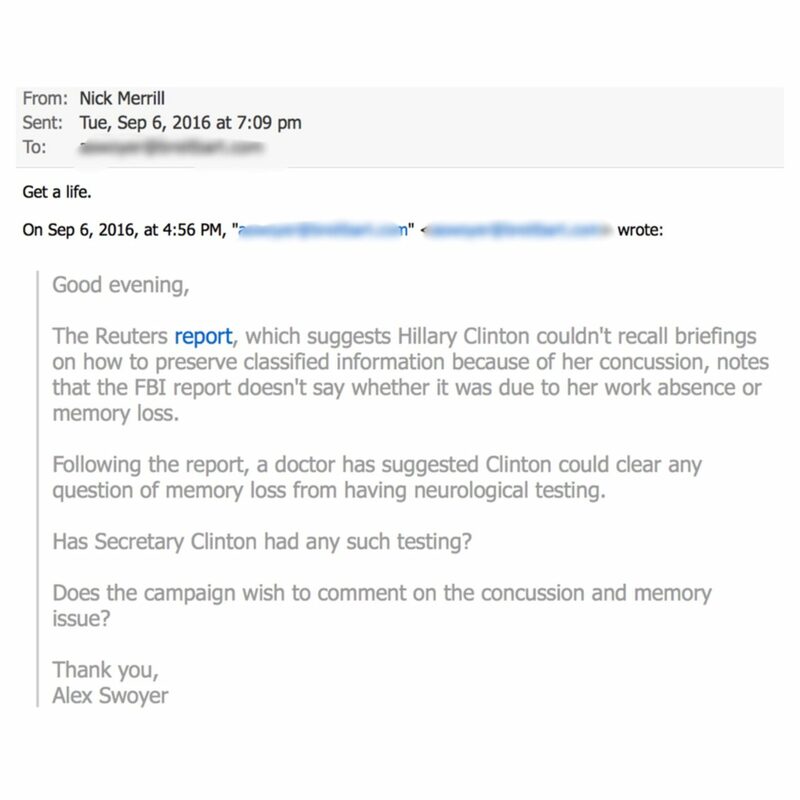 Executive Director of the Association of American Physicians and Surgeons Dr. Jane Orient believes Hillary Clinton should have had neurocognitive testing. Orient’s comments come after FBI notes revealed the former secretary of state blamed her 2012 health scare — a concussion — on not being able to recall briefings about how to preserve classified information. “The FBI report, which does not quote Clinton directly, is ambiguous about whether it was her concussion that affected her ability to recall briefings,” Reuters reports. Breitbart News asked Orient, who is a registered Republican, about whether or not memory loss would be a viable excuse from someone who suffered from a concussion in 2012. This is nothing new. Back during the Whitewater investigations, early in the Clintons’ first term, she again was saying, ‘I don’t recall. I don’t remember.’ It really is a pretty good strategy because you don’t want to lie to the FBI…how are they going to prove whether you remember or not? “If you have brain damage from a concussion, it can last for a long, long time — maybe it never resolves,” Orient stated. The question is, has it resolved? How do you figure that out? Now, is she lying in the sense about her memory to get her off the hook legally or did she really have a memory lapse? And if so, has it gone away and the other thing is, didn’t anybody notice at the time that she couldn’t recall her briefings? Wasn’t anybody concerned? Orient suggested the response of not being able to remember something is pretty good advice for a lawyer to give a client.